TBILISI, DFWatch–Money transfers from abroad to Georgia in June dropped by 20.8% compared to the same period last year, according to the latest monthly report by the National Bank. The total amount of money transfer flow in June was $100.4 million, $26.4 million less than in 2014. Top five countries money flows into Georgia from are Russia ($41.6M), Greece ($13.8M), Italy ($8.7M), the United States ($8.6M) and Turkey ($6.7M). At the same time, according to the NBG statistical data, money outflow from Georgia has increased to $14.3 million in June from $14.1M in the same month 2014. Transfers’ decrease has been related to the drop in remittances mostly from Russia and Greece. Western sanctions and rock bottom prices for crude oil caused significant economic problems in Russia, where, according to the unofficial data, up to 800,000 Georgians live. 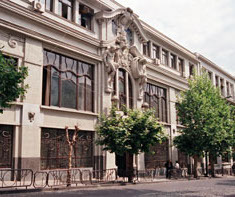 Meanwhile ongoing economic crisis in Greece was another source of drop in remittances, as over 200,000 Georgians live in the country, according to the same unofficial data. Decline of remittances of Georgians living abroad, along with several other factors, is believed to be a reason behind sharp drop of lari, Georgia’s national currency, over the last year.